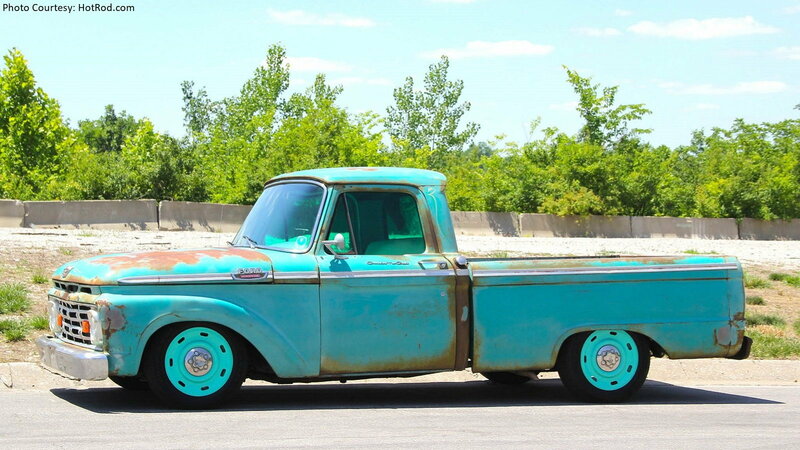 Cheap classic 1964 F-100 becomes reliable long hauler. Never liked the CV steelies on these trucks until now, those look amazing. "Owning a shop, lots of tools, and possessing killer fabrication skills doesn't hurt, either." To me this pretty much kills the whole idea of the ~$500 truck. I'd like to know what the shop hours cost for this build. I'm gonna say it. 561 dollars? Bullcrap. Those gauges must have been free.